The 23-year-old left spinner took 14 wickets in five matches during the limited overs’ leg. 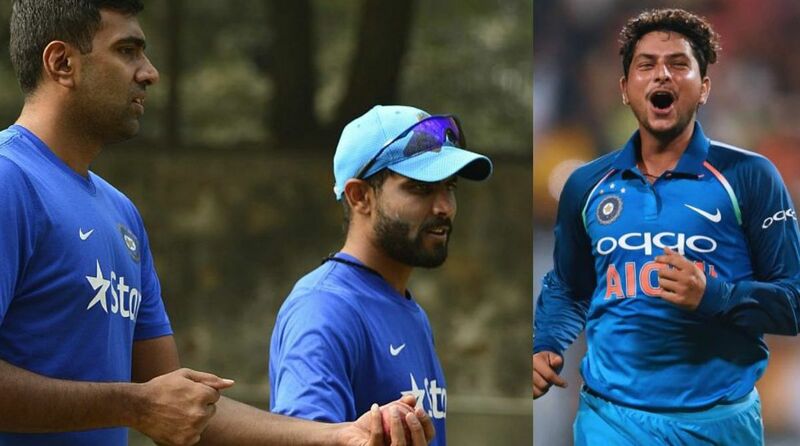 (L-R) R Ashwin, Ravindra Jadeja (Photo: IANS), Kuldeep Yadav. Former England off-spinner Graeme Swann believes India’s chinaman spinner Kuldeep Yadav should play in the opening Test match of five-match series ahead of either spin wizard R Ashwin or all-rounder Ravindra Jadeja. However, Swann also warned the visitors against over-exposing the left-arm wrist spinner. Swann also said if it was India, R Ashwin and Jadeja would be the ideal choice but in English condition, he would start with Kuldeep Yadav.